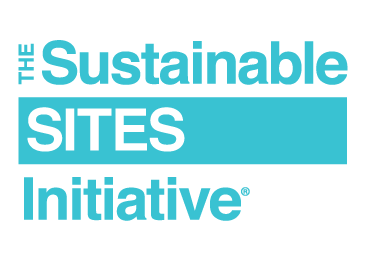 There was plenty of excitement about the Sustainable SITES Initiative (SITES) at the 2016 Annual American Society of Landscape Architects (ASLA) Meeting this past weekend in New Orleans. This beautiful, vibrant, fragile, precarious and recovering city provided an ideal backdrop for starting conversations about the benefits of high-performance landscapes. A diverse group of landscape architects visited the SITES booth on the expo floor, including members of design firms, local and state governments, the National Park Service, the Armed Services, universities, nonprofits, product manufacturers and students. The SITES program was also featured in several educational sessions, and was a buzzword throughout the conference. The development of the SITES program by the American Society of Landscape Architects, The Lady Bird Johnson Wildflower Center at the University of Texas at Austin and the United States Botanic Garden—with the input of hundreds of experts in the field of sustainable landscape design—took a leap forward in providing a road map for high-performance landscapes with measurable benefits. Since GBCI took over administration of SITES over a year ago, it has taken the rating system to the next level. GBCI has launched project certification for the second version (v2), registering and certifying our first set of projects, developing a SITES AP professional credential and releasing a crosswalk between SITES and LEED. Established in 2008, GBCI is the premier organization independently recognizing excellence in green business industry performance and practice globally, through the administration of projects and certifications, professional credentials and certificates. GBCI is the only certification and credentialing body within the green business and sustainability industry to exclusively administer project certifications and professional credentials for LEED, EDGE, PEER, WELL, SITES, GRESB and Parksmart. In total, GBCI is certifying 2.3 million square feet of project space every day. Visitors to the SITES booth were happy to learn that the SITES team at GBCI is a group of dedicated professionals from a diverse background—landscape architects, engineers, green building specialists, architects and more. We are available to answer any questions you might have and are interested in hearing feedback about the program. How can I become a SITES AP? The SITES Accredited Professional (SITES AP) establishes a common framework to define the profession of sustainable landscape design and development. It allows landscape professionals to demonstrate their expertise and commitment to the profession. Testing for the SITES AP exam launched Oct. 1, and is available at any Prometric location worldwide. Registration is now open, so reserve your seat today. In order to achieve the SITES AP credential, all candidates must meet the eligibility requirements and pass the SITES AP exam. Exam candidates should be well versed in the information found in the SITES v2 Rating System, SITES v2 Reference Guide and SITES AP Candidate Handbook. All study resources are available at sustainablesites.org/resources. For any additional questions, check out our FAQ page. How many SITES projects have been certified? The SITES rating system draws on the experience gained from a two-year pilot program involving more than 100 projects. Forty-seven of these pilot projects have achieved certification, including projects at corporate headquarters, national and city parks, academic campuses and private homes. In the second version of the rating system, SITES v2, projects are already registering across the world, from the United States and Canada to China and Japan. And recently, the first set of SITES projects received certification. The University of Texas at El Paso’s Campus Transformation Project was the first SITES v2 project to earn certification. Learn more. Are there any synergies with LEED? We’ve heard real excitement about the possibility of using the SITES and LEED programs together. If you’re seeking to further define, improve or demonstrate the site sustainability aspects of your project—you’re in luck! Your project can benefit from pursuing both LEED and SITES certification. Just this week, we released a list of credit substitutions so that similar credits need only be earned in one rating system—not both. In the future, we are also planning to substitute the sustainable sites section in LEED with SITES, if both programs are pursued by a project team. How do I learn more about SITES and inform clients of reasons to pursue SITES? We are developing a presentation-ready slide deck and other materials, so please subscribe to our updates on SITES to stay informed about when those tools will be available. To access all currently available materials on SITES, please visit our resources section. There, you can view our webinar series for an overview of the rating system, download a free copy of the rating system or purchase the SITES v2 Reference Guide. Are there any events in my area about SITES? To keep up to date on SITES events, visit our events page. To inquire about speaking engagements from GBCI staff members or about a presentation on SITES at your event or organization, please visit the Speakers Bureau and fill out a request.